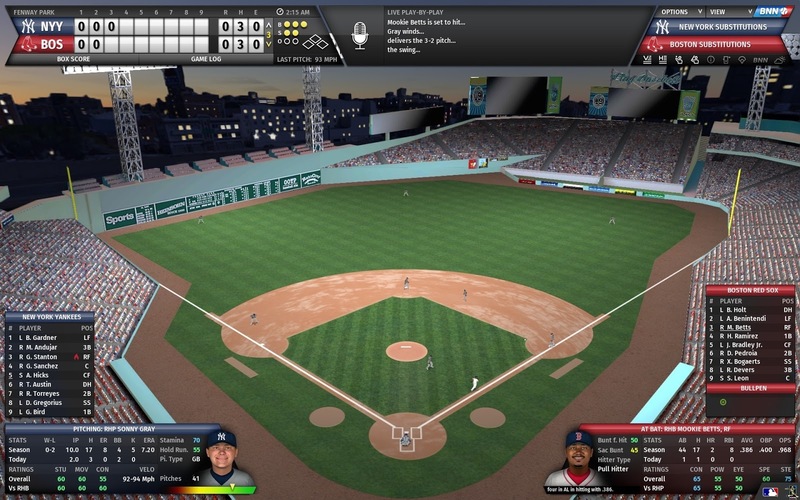 Anyone who has followed me here for a while knows how much I love the Out of the Park Baseball series. I've played every version since 12, and I'm always excited when news about the next iteration starts to come out. 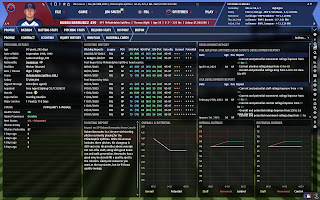 The OOTP team works relentlessly to constantly improve their product year after year, and this year's is no different. 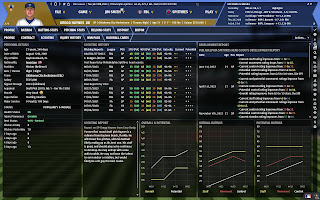 They've also revamped the scouting system, offering a more detailed look at each player, both present ability and projected. 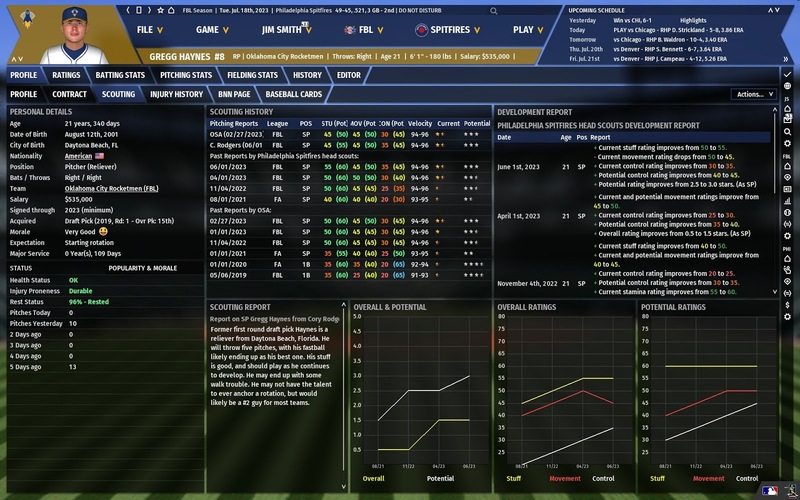 It can now also handle two way players better, just in time for players like Shohei Otani to debut! Another enhanced feature is tournament play. 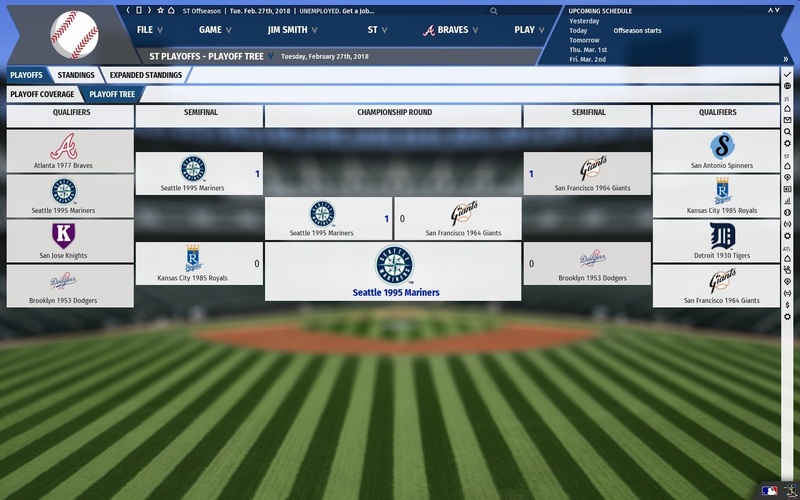 You can create stand alone, one-time tournaments that include any historical teams you want. And those are just the improvements that jump out at you at first glance. There are myriad smaller improvements that you stumble across as you play. 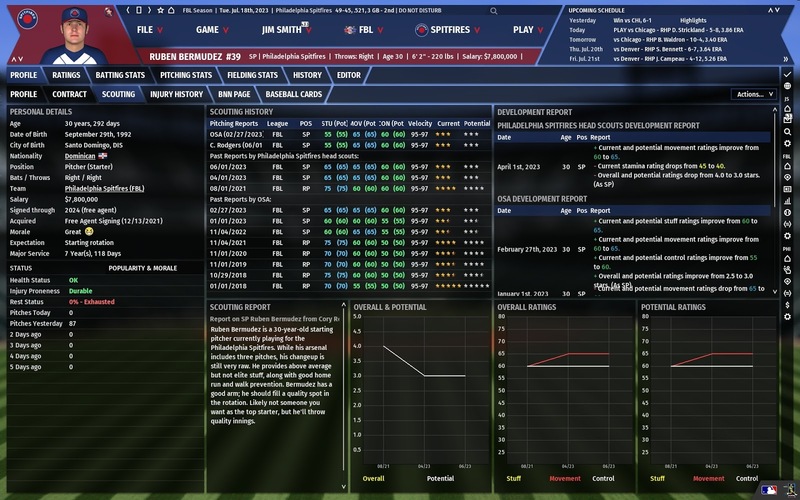 I've seen some users talk about players who have spiritual awakenings and start questioning how baseball fits into their view of the universe! Now, for the fun part. 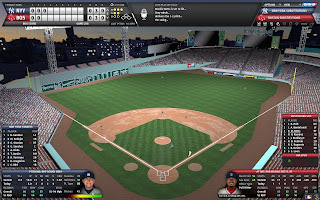 As an Astros fan, the first thing I do is a quick sim of the upcoming season. Let's see how they do this year. I'll be playing the role of GM, and I'll just sit back and let A.J. Hinch lead us to another World Series parade. Ouch. Just seven games into the season and Charlie F. Morton hits the dl with a torn triceps. He'll likely be out until at least the All-Star break, so let's hope the Astros pitching depth can step up. Thankfully James Hoyt is ready to join the squad after starting the season on the shelf, while Collin McHugh slides back into the rotation. We made it through the rest of the month unscathed, thankfully. On May 7th, Houston is 21-15, 1st in the AL West with a 1.5 game lead over the Angels. The Astros again have the league's best offense, while the pitching is struggling a bit. Altuve's hitting .386 so far and Correa's leading the league with 36 RBI. Cole and Verlander are a formidable 1-2 punch, as both are in the top 3 in ERA and strikeouts. 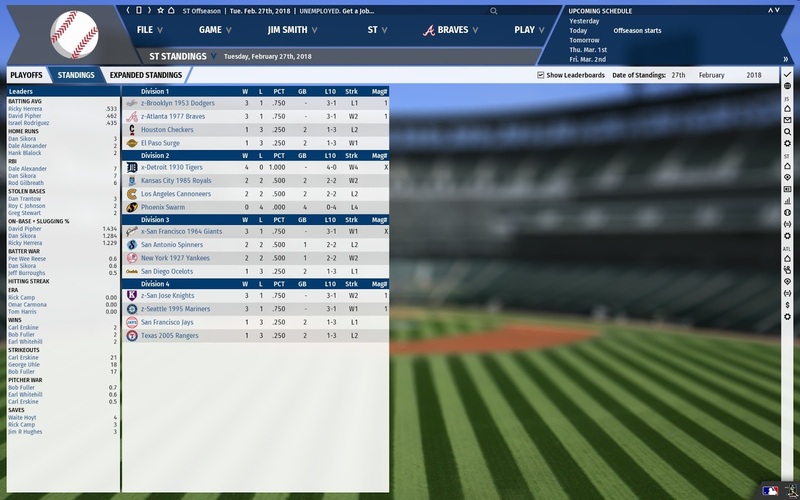 McCullers in particular is struggling with a 7.16 ERA and only Brad Peacock and Tony Sipp in the bullpen have an ERA under 4. And Peacock just hit the dl with a strained forearm. For the second year in a row, Francis Martes is called upon to bolster an injured major league staff. For those Astros fans who had a chuckle about Sipp just now, he's appeared in 14 games but only has 4.1 innings pitched. Hinch is being VERY cautious with letting Tony face anyone other than lefties, I guess. At the end of May, not much has changed. The offense is still steamrolling the league, while the pitching staff is struggling behind Verlander and Cole, though the bullpen has improved. Joe Smith and Martes have ERAs below 4 now, so that's good. Altuve managed to raise his average this month, and is now hitting .388! This could be worth keeping an eye on. The Astros are 31-27 but have opened their lead up to 3.5 games. The A's are 2nd, while the Angels and Mariners are tied just a half game behind them. With their 1st round pick in the draft, the Astros select high school shortstop Osiris Johnson from Encinal HS in Alameda, CA. More bad news for the pitching staff, as Will Harris was diagnosed with a torn rotator cuff on June 13th. He'll be out for the rest of the season. David Paulino will join the Astros staff in his place. At the end of June, the Astros are 49-36, still in 1st place in the AL West, 2.5 games above the surprising Oakland A's. The Angels and Mariners have fallen off, and the Rangers are bringing up the rear, 29-55 and 19.5 games back. Altuve is no longer leading the league in batting average, having slipped to hitting "just" .341. However, an Astros player is still atop the leader board, as Yulieski Gurriel is hitting .352. Gerrit Cole won Pitcher of the Month honors after going 4-0 with a 1.33 ERA in June. Lance McCullers has lowered his ERA to 5.00 after the horrible first month, but is still 7-3 on the strength of the Houston offense. Charlie Morton suffered a setback in his injury recovery. He's undergone surgery and will miss the remainder of the year. Jon Singleton's suspension has ended, and he has been released by the Astros. 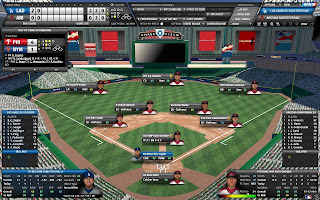 All-Star rosters were announced on July 15th. Jose Altuve, Yulieski Gurriel, and Carlos Correa are named starters, and are joined on the roster by Brian McCann, Alex Bregman, George Springer, and Josh Reddick. If you ask me, Derek Fisher was robbed (that's meant to be funny, but Fisher IS hitting .293/.395/.527.) Gerrit Cole and Justin Verlander also make the team. Nine All-Stars, not too shabby. Reddick is named All-Star MVP after hitting a 3 run homer in the 8th to put the game away for good as the AL wins 8-2. At the break, ten Astros hitters have double-digit home run totals already. This is ridiculous. The team is on pace for 257 homers, just 7 shy of the record in a season by one team. Gerrit Cole is leading the league in ERA and wins, and is just 10 strikeouts behind teammate Justin Verlander for the league lead. At the end of July, Houston is 69-40 and is running away with the division now, opening up a 12 game lead over Oakland. The Astros went 20-4 for the month. Altuve is named Player of the Month for July after hitting .406 with 7 homers. He's back on top of the league in batting average, up to .355, with Gurriel second at .347. Correa is the first player to 100 RBI. Best offense, pitchers struggling except Cole and Verlander, yadda yadda yadda. Ken Giles didn't allow a run all month, so that's cool. Wow, this is getting to be a long post. August 14th, Bregman goes down for 6 weeks with plantar fascitis. Hopefully he'll be ready to go for the playoffs. J.D. Davis has a hip strain in Fresno, so Tony Kemp gets the call. Marwin takes over as the starter at 3rd. Want to see how the rest of the season plays out? 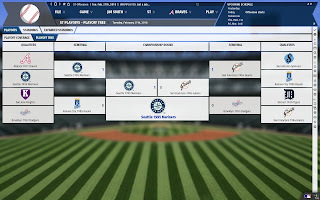 Get your copy of OOTP19 and try it out for yourself! Well friends, we've reached the end of our HMA Giveaway 5th Anniversary Birthday Celebration (HMAG5ABC for short.) So far we've sent one lucky lady and her guest to hang out with Lance McCullers and Jose Altuve, among other players and personalities. We sent one guy and his family to an Astros game with some nice, dugout box seats. 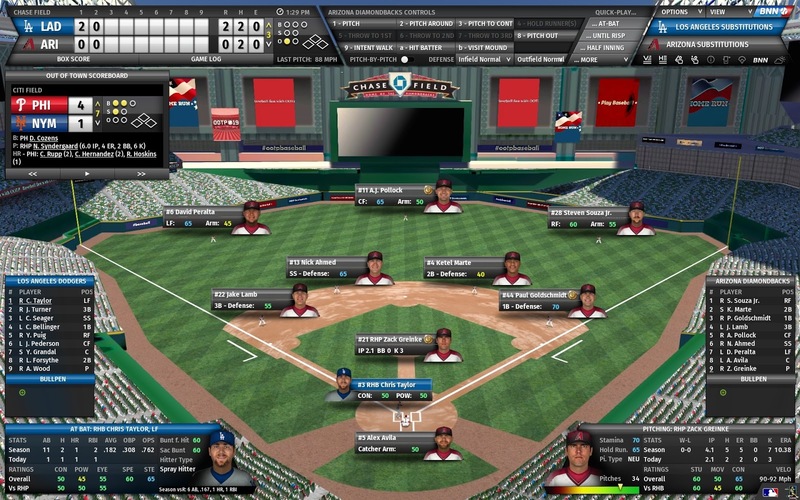 And we've introduced one guy to the addictive wonders of OOTP Baseball. In doing all of this you've helped raise hundreds of dollars for the Lance McCullers Foundation, the Jose Altuve Foundation, and the Astros Foundation. That's awesome, and you guys are awesome. For the final Giveaway, we have another 4 tickets to a 2017 Astros game (your choice of which game, subject to availability.) And we're going to have some fun with this one, giving you a few chances to multiply the number of times you can enter. 1. Retweet this note (screenshot will be posted on twitter) to enter. 2. Follow @HowManyAltuves to double your chances of winning. 3. 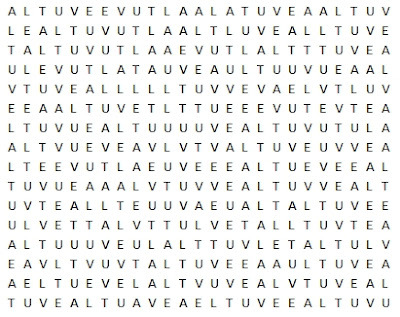 Tweet me your best How Many Altuves fact to double your chances again. 4. Provide proof of a donation (preferably via twitter DM to protect your information) to one of the following charities to double those chances yet again: Lance McCullers Foundation, Sunshine Kids, Astros Foundation. I'll be accepting entries through the entire holiday weekend and announcing the winner Tuesday, May 30. Good luck, and thanks again for 5 awesome years!